A significant component of critical thinking is the information from which our conclusions are derived. As such, it is important to consider whether that information is accurate and applicable. There are 2 steps by which you can verify information. The first is determining the relevance of the information to the issue at hand. Julius Caesar crossing the Rubicon, while an important historical event, has no relevance if the conversation is about classroom table arrangements. The second is the analysis of biases, both personally held as well as those of your sources. 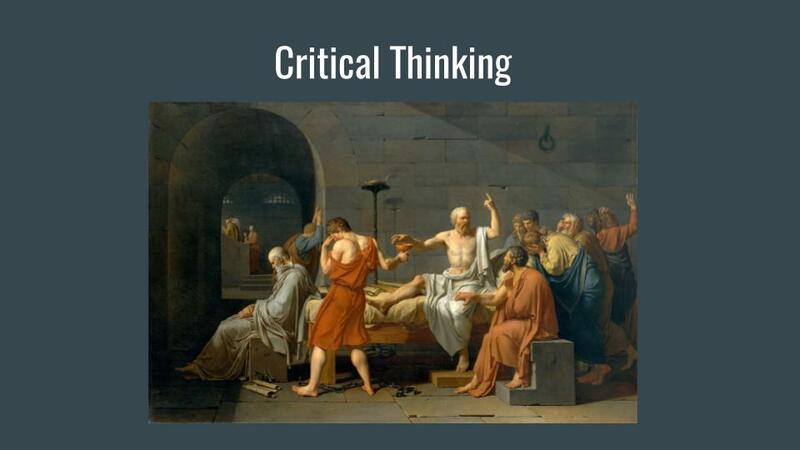 We wanted to try a creative approach to teaching a class on critical thinking, a topic that is generally deemed as boring. A sock puppet show detailing some aspects of critical thinking served to make the lesson plan more interactive and engaging. The first act covered the topic of how to adequately verify sources, which is a significant topic considering the proliferation of the information via the internet. The second act was a skit elucidating some logical fallacies. Finally, we invited the whole class to create their own sock puppet show a group activity. We split the class in half, with one half having to make an argument for why sock puppets are cool, the other half making an argument for why sock puppets are stupid. This emphasized how to create an argument, and how you can create a critical argument for and against a position. The lesson plan was wrapped up by having a class discussion, drawing on our experiences with critical thinking. In this discussion we motivated people to talk about their struggles, and how they use critical thinking in their everyday lives and with their community partners.